A transfixing novel where lives are held in strange, changeless abeyance; like stones beaten over and over again by the same relentless tide. A mother and daughter arrive in a small Spanish village, caught between the desert and the dark blue of the Mediterranean Sea. Rose, struck down by a mysterious illness that has left her incapacitated, is hoping for miraculous treatment from the mysterious Dr Gomez in his clinic. Her daughter Sofia is trapped by her mother’s illness; paralysed herself by a life in which she is chained to her mother’s hypochondria, neurosis and immobility. As the hot sun beats down, these two women’s lives simmer with pent-up resentment and bitterness. As Sofia struggles against the confines of the caged existence her mother has created for her, exploring her own sexuality and independence she threatens to tear the fragile threads that hold these two women’s lives together. There is a wonderful, playful surrealism here deliberately at odds with the glaring immediacy of this post-austerity Europe. Here are characters, countries, locked into immobility; waiting on the edge of what may be development, growth or catastrophic decline. 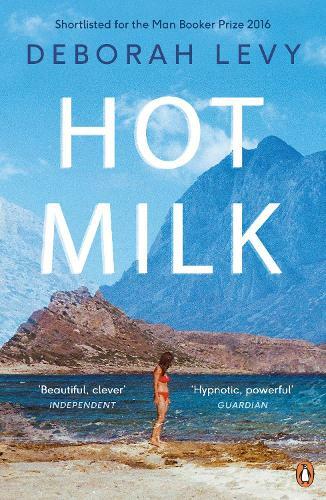 Hot Milk is a novel that seems to have emerged directly from the times we live in. Uncompromising, brave, sharply funny and delightfully curious, this is a novel for our times.